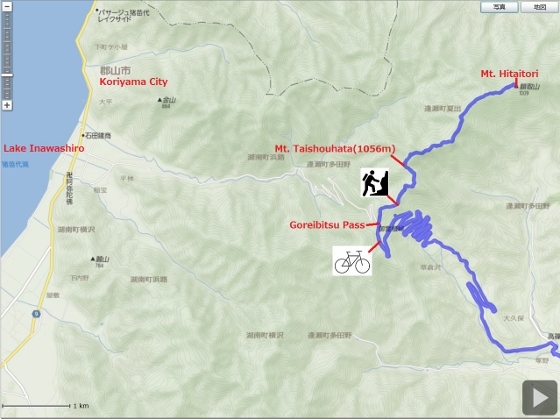 Today I pedaled to Goreibitsu Pass in Koriyama City and then went on trekking to Mt. Hitaitori watching autumn flowers. 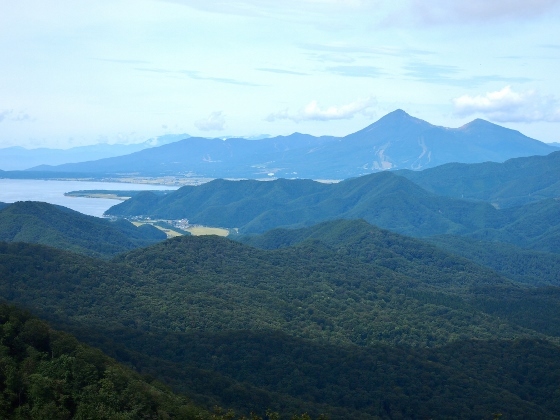 Goreibitsu Pass is 880m high and is located in the suburbs of Koriyama City. It is also a starting gate for trekking to Mt. 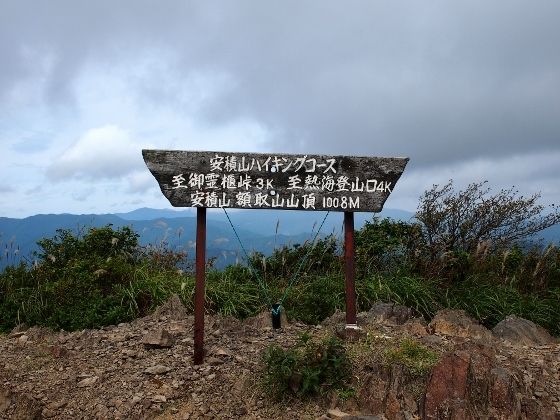 Taishouhata which is 1056m high and further to Mt. Hitaitori which is 1008m high. 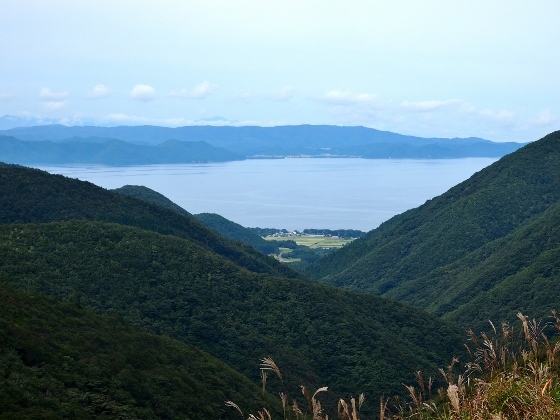 Above photo shows today's view of Lake Inawashiro from the trekking route. Pampas grasses in the view give us some autumn feeling. 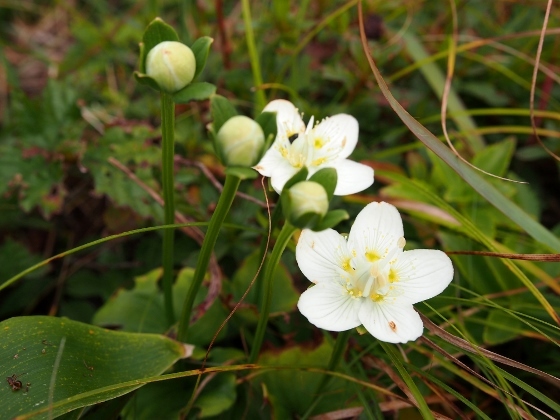 Above photo shows white flowers of Parnassia. Finding this flower was one of the purposes this time. Many of them were in the field just before the peak of Mt. 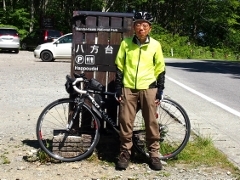 Taishouhata, and I could find some others along the trekking route to Mt. Hitaitori. Since many of them were still buds best time will last till the end of September. 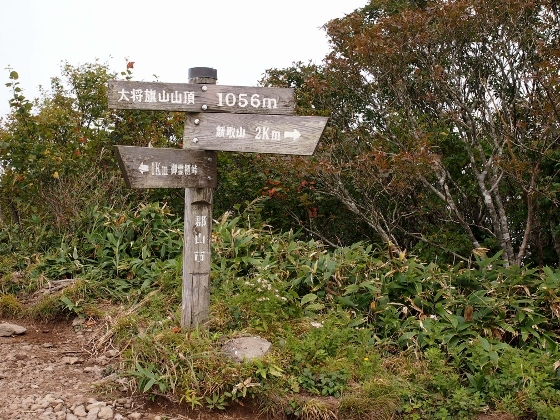 Above photo shows the peak of Mt. Taishowhata. Above photos show the top of Mt. Hitaitori and the view of Mt. Bandai and Lake Inawashiro from there. Some other autumn flowers I found along the trekking route are shown below. 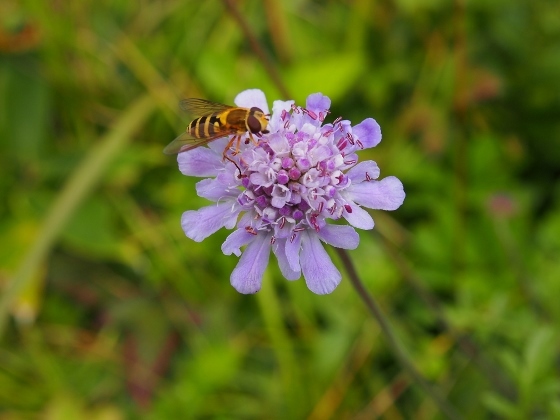 Above photo shows violet flower of Scabiosa. I found many of them though the best time was gone. 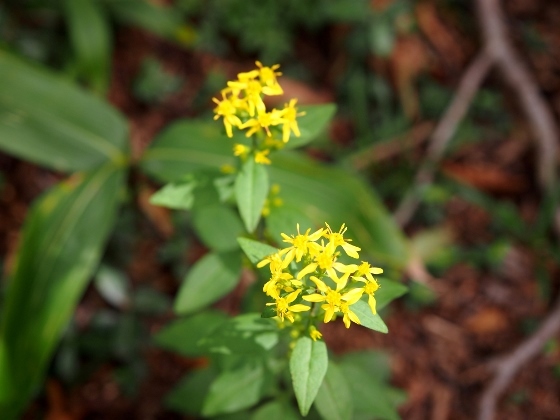 Above photo shows yellow flowers of goldenrod. 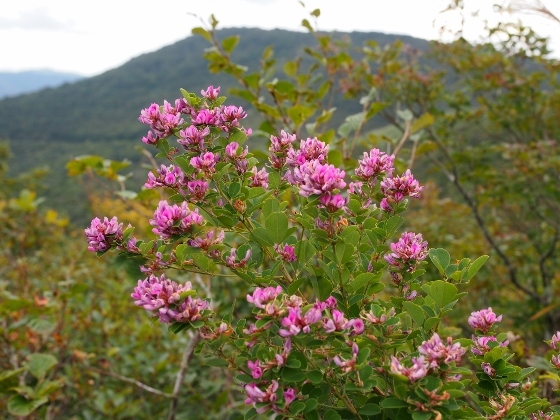 Above photo shows flower tree of Lespedeza. 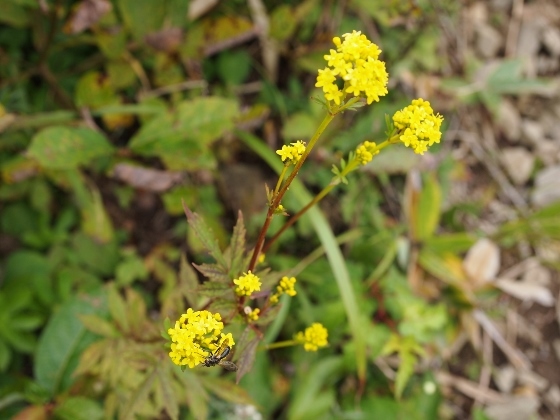 Above photo shows yellow flowers of patrinia triloba. It usually blooms during summer though still there.